Electroacupuncture is by definition acupuncture in which a weak electric current is passed through each needle. This is accomplished with the use of a small clip that attaches to the acupuncture needle and a cord that connects the clip to an electric acupuncture treatment unit. The patient will experience the sensation of a tap or a pulsing sensation at the needle where the clip is attached. This is a painless sensation. 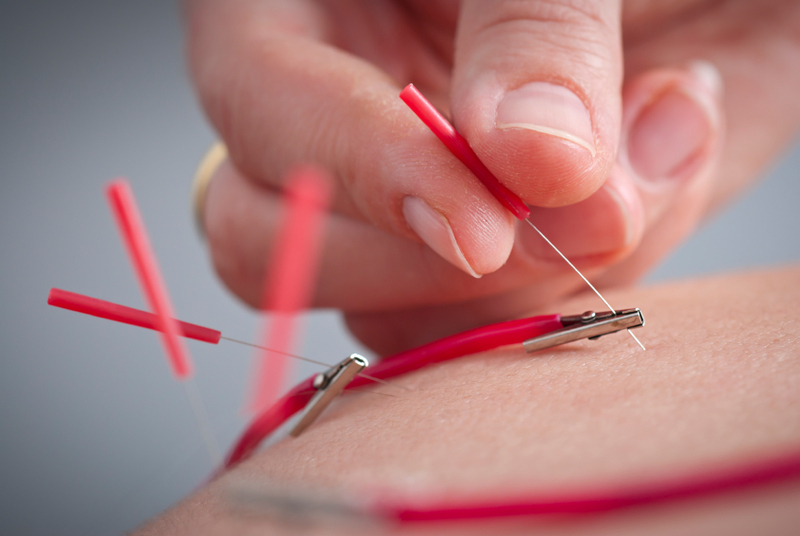 The acupuncturist can select the frequency, intensity, duration and the location for the electroacupuncture. Adjustments will be made base on the condition being treated. This form of treatment is quite similar to traditional acupuncture however with the addition of the small amount of electric current the acupuncturist is able to better stimulate the "qi" response and thus it can be more effective at moving stubborn or stagnant energy(qi) that we see in chronic pain conditions. Electroacupuncture is safe, virtually painless, and effective.